Home / Entertainment / Viral / Living Big in a Tiny House - The Downsides. 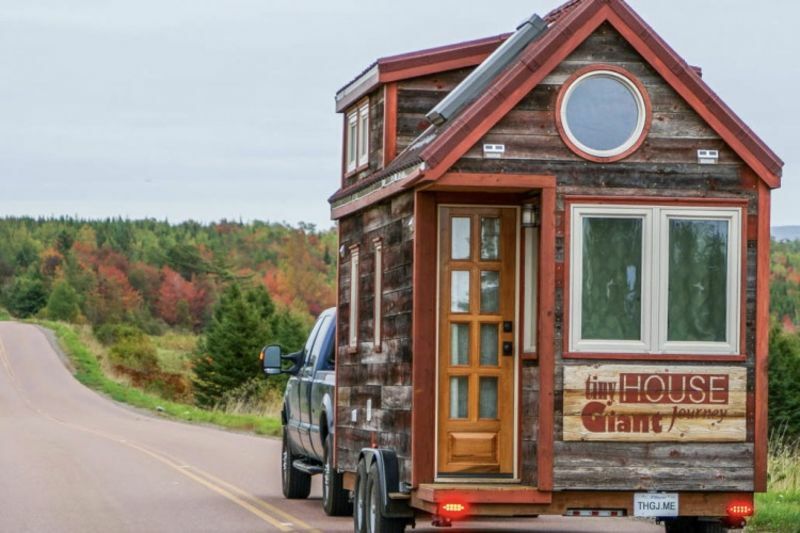 Jenna Spesard speaks out about what it is really like living in a 165 square foot house. Yes, there is plenty of videos's out on the internet about how great it is living 'tiny' such as downsizing and simplifying your life, freeing up your finances, fewer chemicals in your house, mobility and eco-friendly, however, Jenna is about to tell us all what it is really like, and apparently it STINKS...literally. 1) Although a small home is easy to clean, it's just as easy to get dirty, especially if you living with an animal. 2) Not everyone has a composting toilet, so not many people know how to use it, Jenna expresses how she has to explain to people who come over how to use it. 3) Making the bed when you don't have room to stand, it's even more difficult when the sheets have been washed and need to be put back on. 5) Having guests over is very limited, especially guests who stay over. 6) No room to grow because you are restricted by your trailer that you build the house on. 7) Limited by how much weight on the trailer axels, so everything that goes on or in your tiny home has be weight conscious. 8) Closet/ storage space is super limited. 9) Challenging legalities such as parking and insurance. Video: What Do Your Pups Do Home Alone? Video: Is She Into You? ' This Is A Great Guide With Examples And Situations That Will Help You Recognise Signs When A Girl Likes You! Video: This Six-year-old Girl Has Perfected The Craft Of Tightrope Walking. Her Skills Will Leave You Baffled!